Here’s an example of a book that had some flaws, but still earned my thumbs up through its various virtues. 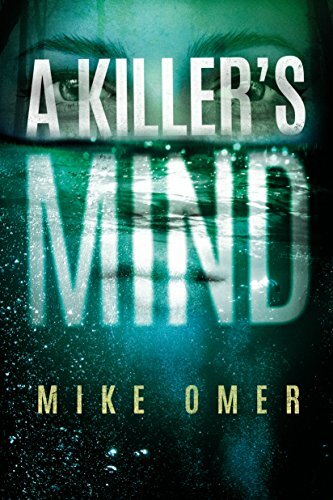 A Killer’s Mind, by Mike Omer had (in my opinion) some plotting problems, but the characters and the writing carried the project through. Zoe Bentley is a psychologist who works as an FBI consultant, mostly profiling. She lives in Virginia, but is sent to Chicago to help the police with some serial killings. Assigned to accompany her is FBI agent Tatum Gray, a hunky fellow who immediately rubs her the wrong way. In Chicago, someone is kidnapping young women, strangling them to death, and then embalming them and leaving them in posed positions in quiet spots. Zoe struggles to try to comprehend the mind of such a criminal, and it leads her to break the rules and earn the anger of the Chicago cops. But that brings her and Agent Gray closer together as they slowly learn to get inside this guy’s very twisted head. What I especially liked about A Killer’s Mind was the characters. Zoe is an interesting main character – no super-cop, she’s a damaged personality with a shocking back story. In social situations she comes off as distant and curt, but she is not actually a cold person. She’s in fact so naturally empathetic that she has to raise emotional barriers to keep her sanity. Also I like stories where a man and woman hate each other at first sight, and then warm to one another. This is that kind of story. What I had problems with was how Zoe’s character worked into the plot. We’re supposed to believe that an accomplished, adult professional woman would withhold what she believes to be material evidence in an ongoing homicide investigation, because she’s afraid of a repeat of childhood embarrassment. Author Omer works to make this plausible, but I never really bought it. Still, all in all I liked A Killer’s Mind, and I’m likely to read the next volume in the series.